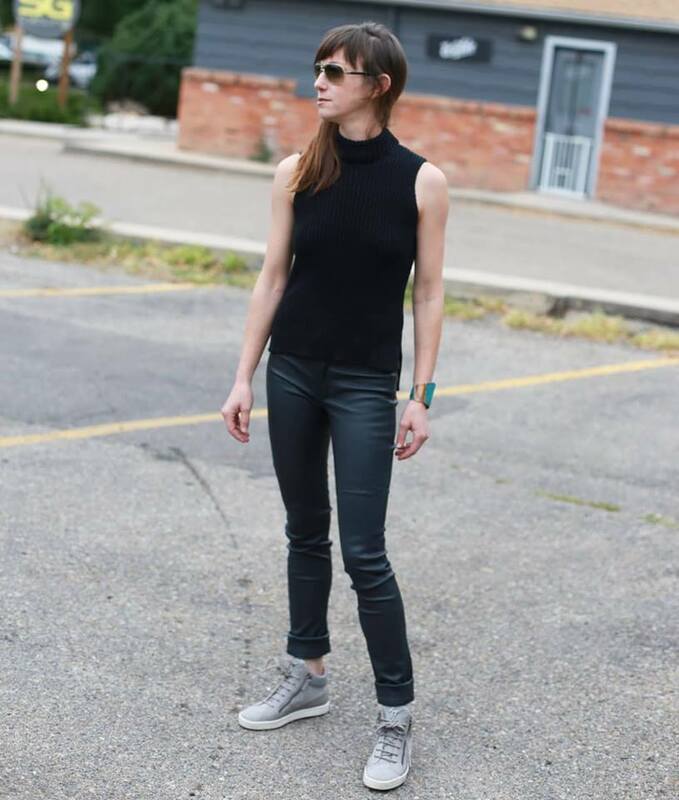 Boulder fashion will always pull casual, no matter the year, no matter the season. Lucky for us, many of the biggest trends for the winter of 2018-19 center around comfort. 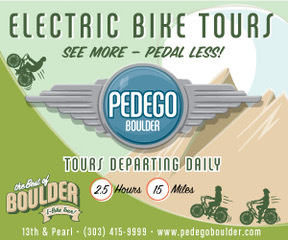 If Boulder ever had the chance to claim credit for a fashion movement, this is our time to shine. 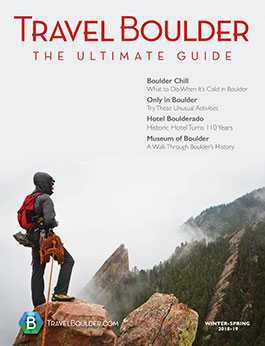 Boulderites are pros at dressing relaxed. This winter, think about your favorite fail-safe classic styles and easy wear, but add fun accents, colors, layers, stripes and unique details. This is not a new trend but we’re thrilled to see it continue. This season, you’ll see more variety and new designs in athleisure wear, plus sherpa and soft, cozy fabrics abound in sweatshirts and hoodies with stripes and collegiate details, according to Barbara and Company. We love the sherpa hoodie with full sleeves from Stateside ($126), available at Barbara and Company. In addition, tracksuits, worn together (not as separates) are everywhere, according to Eleanor and Hobbs in Louisville. Both coasts are wearing these for athleisure, activewear and loungewear. The stripes are a must. 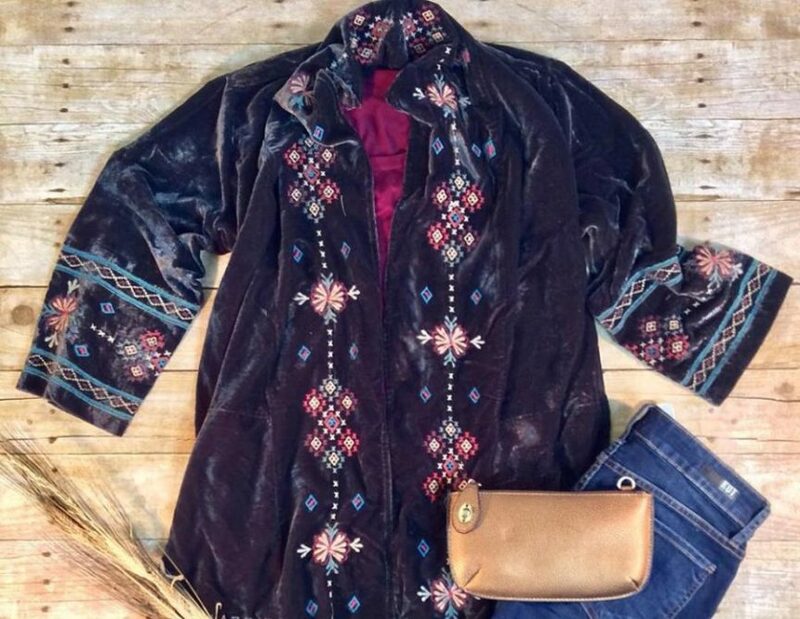 This velvet tracksuit (above) is a favorite for the season ($152 for the top and $174 for the bottom). Vogue says one of the biggest trends for winter is layering, a clothing strategy perfected by Coloradans an eternity ago. Layering is a way of life, a necessity in a state that can blast through all four seasons in a single afternoon (or even an hour). When thinking about layering, consider combining different textures to create interest. Throw a hoodie over a jacket over a dress. Scarves are an easy way to add a layer. A trendy way to do layers is with layered outerwear, according to JJWells. How to wear it: Buy one great, new piece and pair it with things you already have. Tips from JJWells: Put the longest piece on the outside, with the shortest piece closest to your body. “Choose vests for warmth without adding bulk under the arms or in the sleeves. 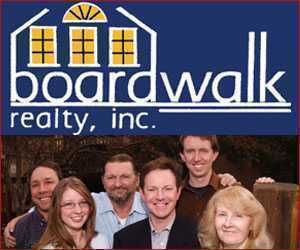 Besides providing warmth, accessories add color and texture for a finished look,” JJWells says. 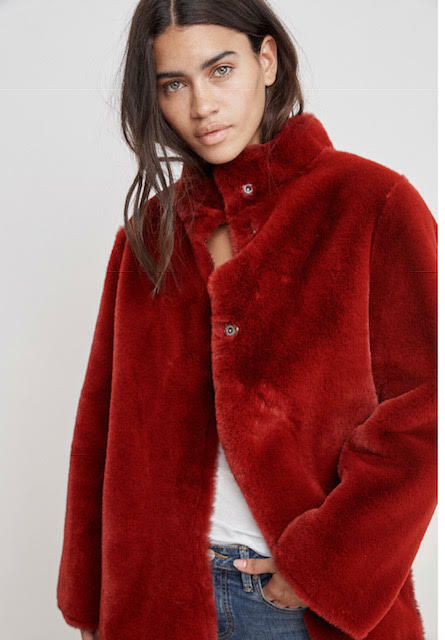 Velvet is in this winter and there are many different ways to rock it. It’s especially hot in vibrant colors, according to Eleanor and Hobbs in Louisville. The Nation hot pink top (above) is a must-have for layering or just alone half tucked into jeans ($172). 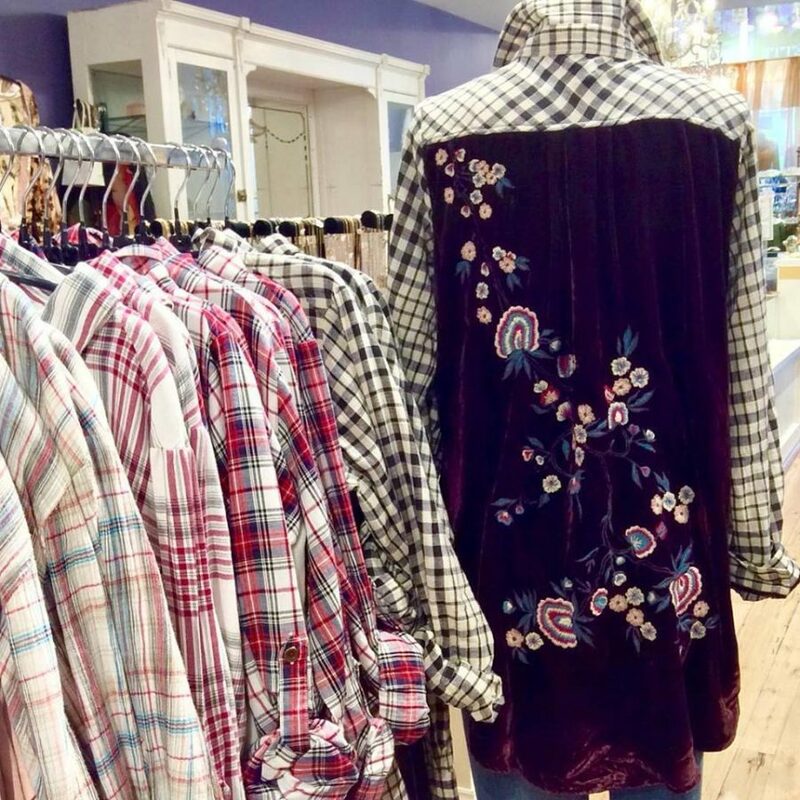 Try a gorgeous burgundy tunic or Etsy duster, both by Caite, available at Violette Boulder, 1631 Pearl St.
Also consider velvet accents in surprising places, like on one of Violette’s best-sellers. It takes a standard plaid shirt (plaid will always be big when temps drop) and gives it a different spin. 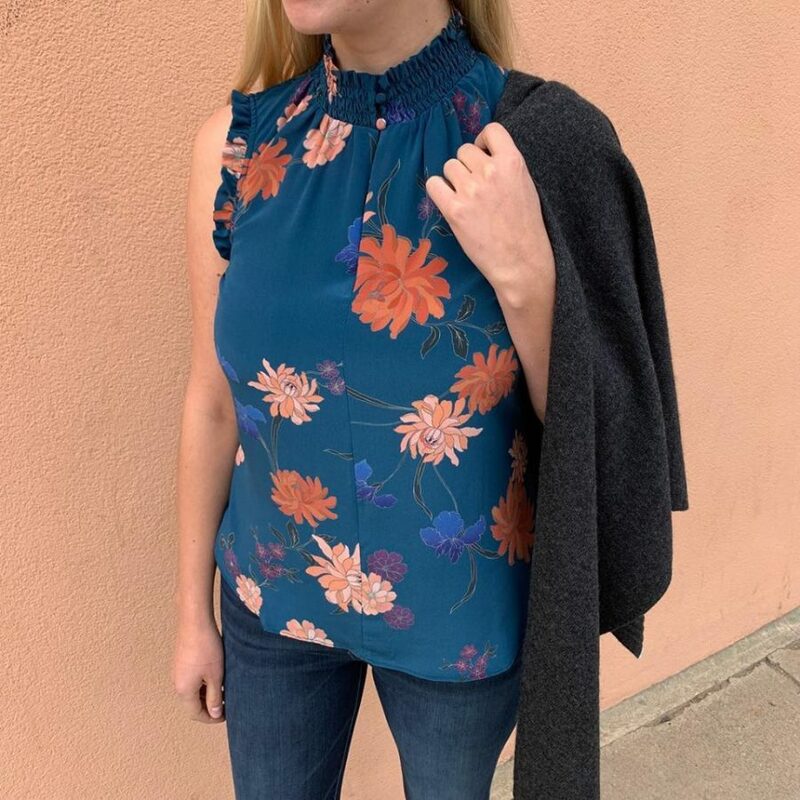 The Charlie shirt features a velvet back embellished by floral embroidery. Also designed by Caite. 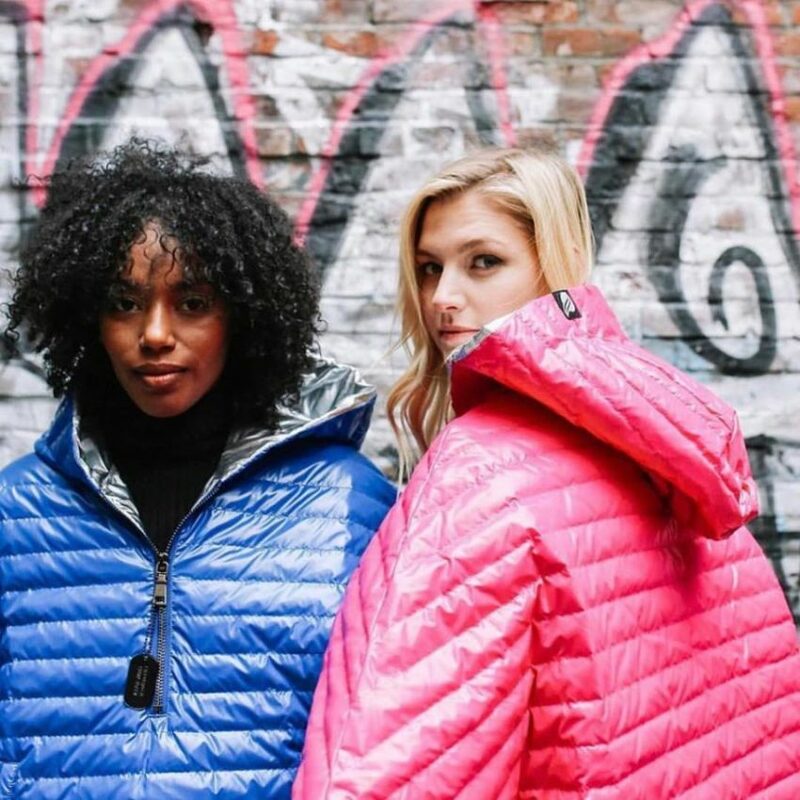 Big, puffy winter jackets seem to come in and out of the fashion scene every few years, and they’re back and bigger than ever this year. No need to freeze when the temps drop. Climb into a quilted, comfy, poofy jacket; who says high fashion has to be uncomfortable or impractical? It’s definitely not cold this season. The puffier the better, according to Eleanor and Hobbs. 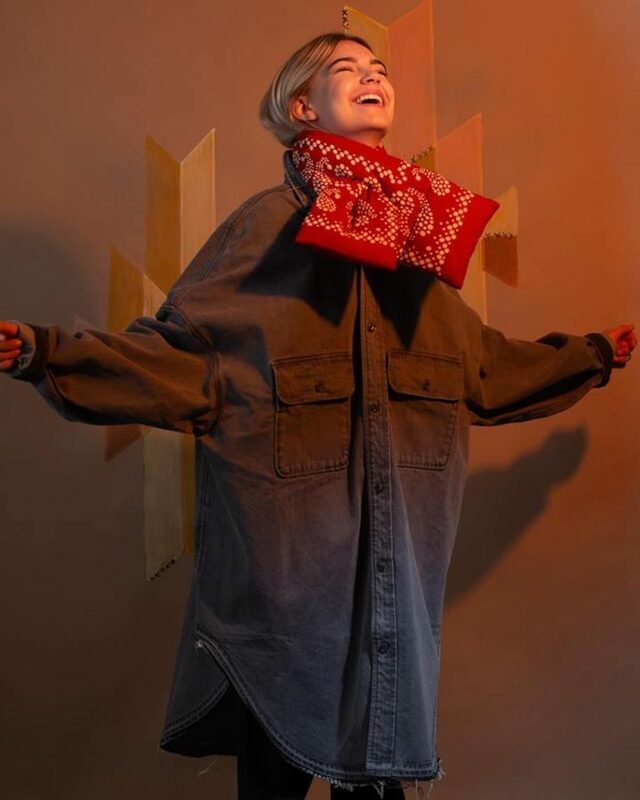 This Soia & Kyo puffer (above) has the most amazing hood to block out Colorado weather ($475). This winter, look for all kinds of other fun, fashionable alternatives to regular, ol’ quilted jackets, according to Barbara and Company. “Plush, wool, faux fur and shearling fabrics are all in the mix. 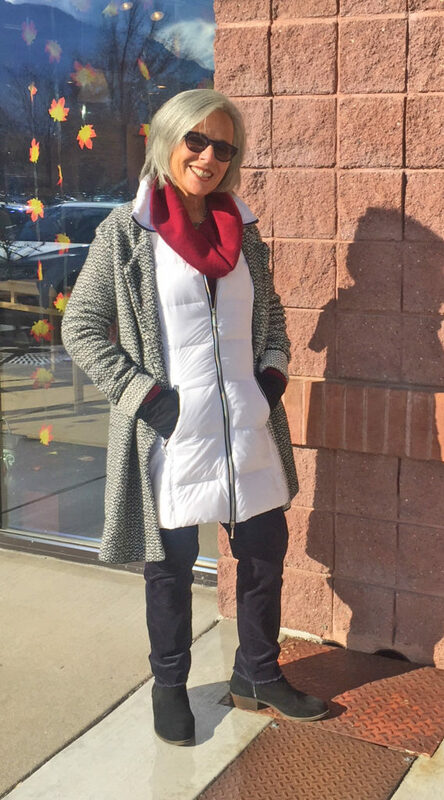 We have reversible jackets, mid-length and long wool coats,” Barbara and Company says. Fake fur jackets are also a hit. Designers from Michael Kors to Gucci are all putting out faux fur coats. No real fur, please. Boulder wouldn’t have that. A favorite jacket at Barbara and Company: the luxe faux fur reversible coat in red and navy from Velvet at $288. A major trend and a new silhouette this season: Pants are moving from high-waisted, boot-leg jeans to wide-legged and full-length styles, according to Barbara and Company. Wear them with cropped tops, front tucks and jackets. Our favorites are from Bailey 44, AG and Joe’s Jeans. Leopard is always in style, according to Eleanor and Hobbs. This Mother denim leopard jacket (above) just arrived in Eleanor and Hobbs ($315). Again, this trend is easy for Colorado. We are the Wild West. You’ll see cowboy accents all over the runways this season. Add Western accents like fringe, big, Western-inspired belts, wide-brimmed hats, Southwestern patterns and leather (or synthetic leather). 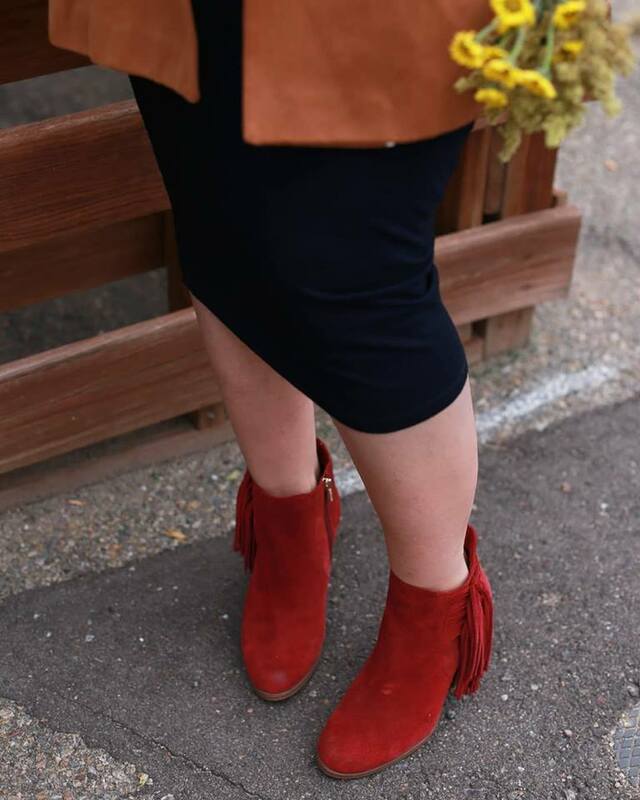 This can be subtle, too, like a pair of red, fringe booties from Common Threads. Flowers aren’t just for springtime anymore. Vogue and many of the big designers show floral patterns on winter styles. Mixing and matching florals is still a fun way to add some interest to your outfit. Feel like an everyday superhero with an easy, chic cape. You’ll see capes everywhere from Vogue to Alexander McQueen this season. We’re all about it. There’s something a little mysterious about a person in a cape. 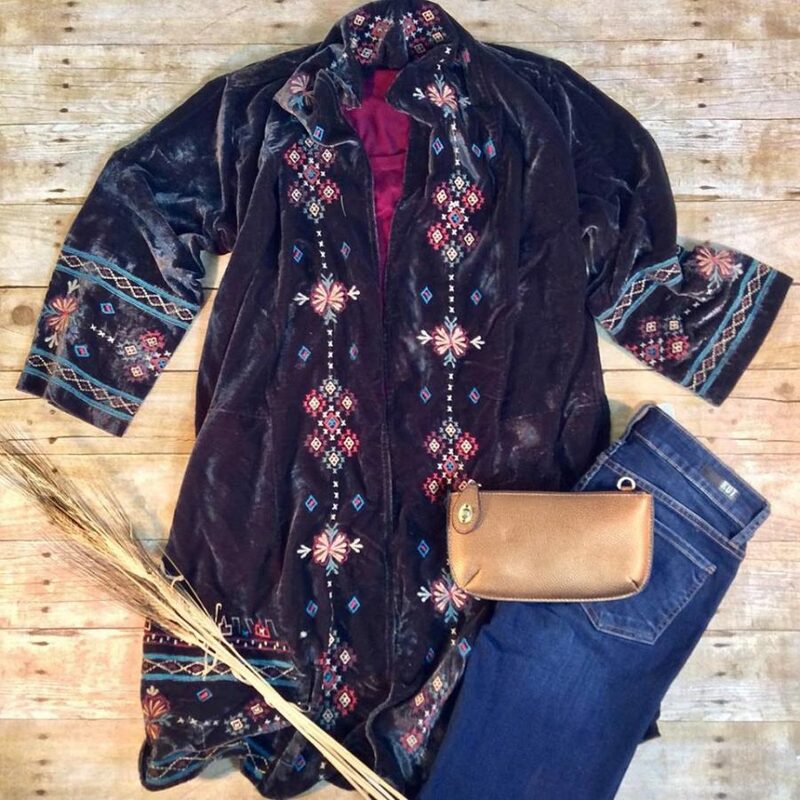 Rags Consignments says its time for Boulder to tuck away the Boho look and embrace a retro Ralph Lauren vibe. That means long skirts, turtlenecks, buttery leather totes, monogrammed blazers and plaid on plaid. “Preppy, cool and a throwback, it’s an easy and stylish way to get dressed. It feels familiar and comfortable, but can be done a million different ways,” according to Rags. A piece that Rags is seeing a lot of this year is a poncho. 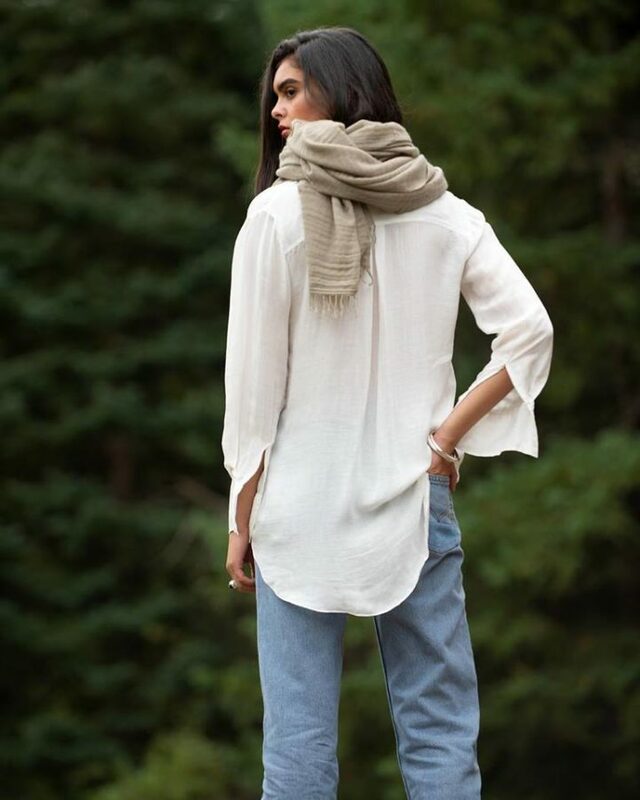 Pairing a cozy poncho with a pair of high-waisted bell bottoms or distressed denim gives a new twist to an old classic. 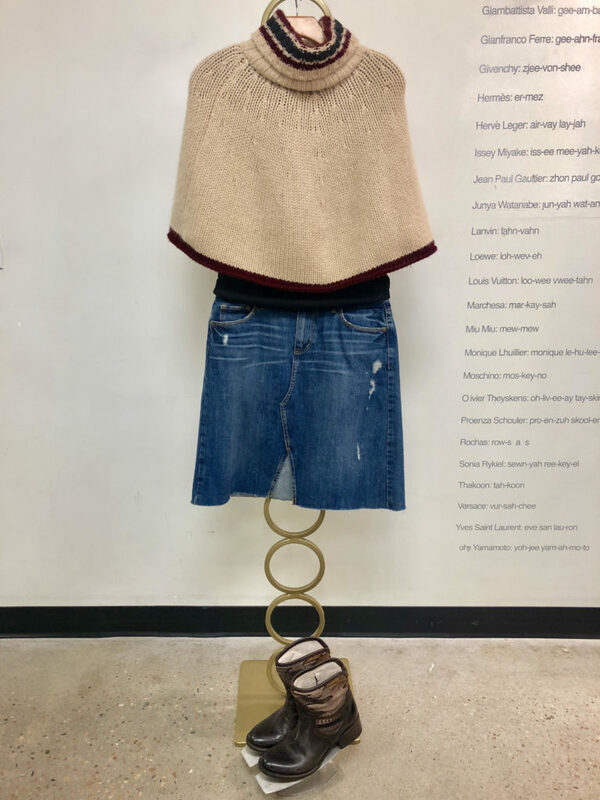 Fashion inspo: Rags’ Burberry poncho ($325) in a neutral tone, with a LOFT denim skirt ($18) and Freebirds ($72). 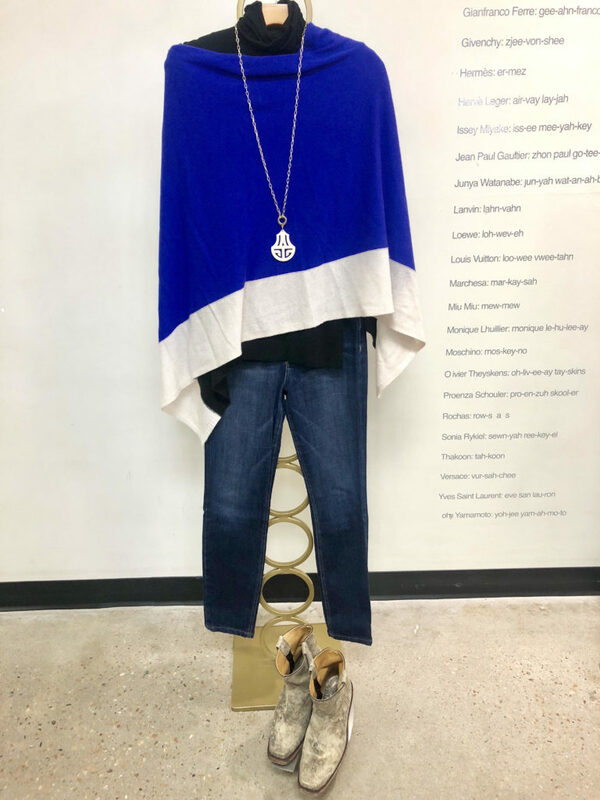 For a look that can go from day to night (in Boulder at least, where casual-cool rules the day and the night), try this 360 Cashmere poncho ($82) with a Majestic Filatures turtleneck, and J Brand jeans ($54). One example, shown here: YMC sleeveless sweater, YSL sunnies, Graham and Spencer leather pants and Giuseppe Zanotti high-tops.